WondersMind is a pioneering Ecommerce, Mobile App Development, and Web Development solutions provider in India & UAE. WondersMind Garment shop POS billing software specially designed for cloth retailers, cloth stores & showroom. System allows you to manage the customer transactions, general ledger and manage the stock effectively. 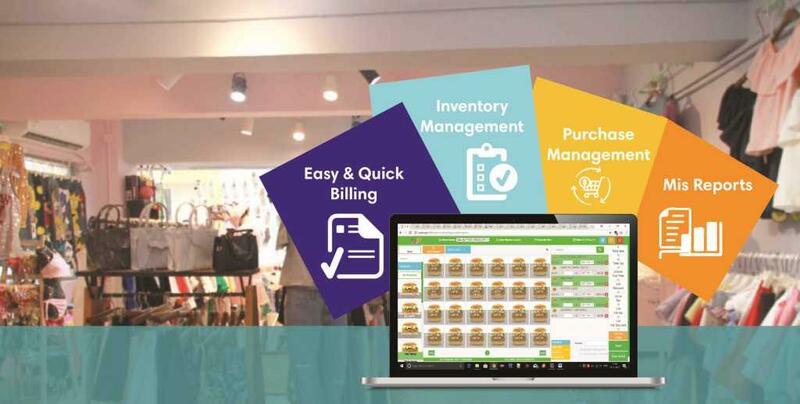 POP ready free retail shop billing Software solve all your issues of managing the shop. Inventory plus Garment shop software is simple to use and rich UI can be used effectively any garment shop or showroom. Simple rich user interface simplify the frequently training the staff. The process of manually creating a bill for every sale with the corresponding changes being made to the inventory records, is not only tedious but also time-consuming. Above that, the when humans are involved, the error factor increases by a considerable magnitude. To remove this error zone and make the point of sale faster, safer and profitable, Retail Mass offers a truly productive garment software. The automated solution not only is user-friendly, it also offers an end-to-end functionality that can be used even when the system is offline.